Yes, fall is here in full effect. The morning and evenings are definitely cool, while the middle of the day the temperatures can still reach the 70s or 80s depending on where you are. For me personally, one of the saddest things about transitioning from summer to fall is the loss of the flirty, lightweight dresses that we basically lived in during the warmest months of the year. However, if you’re days away from packing up your summer dresses for good, hold it right there! 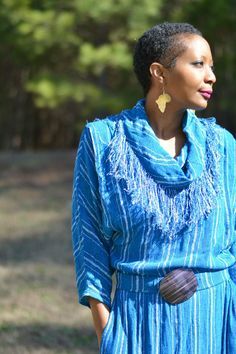 You can transition your warm-weather favorites by brushing up on some basic layering techniques that will allow you to wear those dresses into the fall and winter season. Just because the temperatures have dropped doesn’t mean that every item in your summer wardrobe should be packed away, never to be seen again until next spring. Many people feel that those breezy little dresses are not seasonally appropriate in the fall. 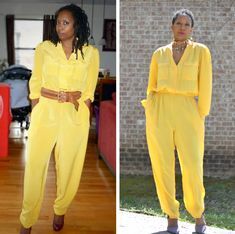 I am here to say that you should absolutely start thinking outside of the box if you don’t believe some of your summer dresses can take you into the fall. If you understand layering, then you understand what I am talking about. The trick (no surprise here) is layering; it’s a matter of combining the short, sleeveless, lightweight dresses from the summer with the heavier pieces you need during fall. You can easily turn your favorite warm-weather dresses into stylish cool-weather staples by perfecting the art of layering. Extend your fall/winter wardrobe with your favorite spring and summer dresses in the cooler months by balancing summery prints and hues with dark neutrals. Also don’t forget that leather moto jackets, puffy vests, and closed-toe shoes can take breezy maxi dress into the colder months; a chunky sweater or sweatshirt transitions lightweight dresses and prints into cooler temps; tights, turtlenecks, and thick coats add warmth to summer dresses. Don’t forget coordinating scarves, belts, and hats will tie all the layers together while adding extra warmth. I thrifted this high low dress years ago for $6. To be honest with you, I tend to wear it mostly in the fall as the color pattern reminds me of fall more than summer. However, the lightweight material definitely screams summer. In making it more fall appropriate, I paired it with this green light cashmere cardigan that I got from an estate sale for $2! Yes, you read that right. Cashmere for $2. If you have not tried out an estate sale yet, you are absolutely missing out on hidden gems at fantastic prices. Since the sweater was very loose, I belted the sweater with a skinny belt to emphasize a waistline. Belts are amazing accessories to have in transforming baggy pieces. Finally, I finished this look with these beautiful Jessica Simpson heels that I got from Macy’s on sale. The color is an amazing match to the colors in the dress, and simply adds that perfect touch to this outfit. Yes, fall is here, but all is not lost when it comes to still styling those beautiful summer frocks. Remember your layering tricks and you will do just fine! Have you continued to wear some of your summer pieces into the fall? Girl, you are rocking that dress and you totally made it perfect for fall. I am ALL FOR making the most out of my clothes. Wow, that looks! Belting that dress with a cardigan is perfect for this time of the year. I may be using this idea. Very cute dress! Some dresses I can wear in the fall as a tunic with leggings and knee high boots or ankle boots. This looks great! I will have to give it a try, I would live in my summer dresses all year round if I could. Love this look. I’m always chucking on some tights and throwing on a cardigan over a summer dress to get more wear out of it! I layer up summer pieces that I really like to wear even if it’s the fall. I really love how your dress flows, it’s really pretty. It’s awesome how you styled it! 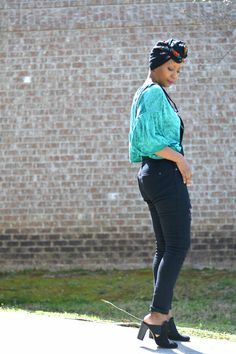 Love the layering idea and that sweater is perfect for the cooler weather and you can always take it off. I also like the dress for early fall. It’s a very cute floral dress, and of course, as always, you pull it off so well. Why hide such a beautiful item of clothing till next summer when you can still rock it now? I love this. I live in Florida, so we don’t get much fall, but I have a lot of summer dresses. I love the idea of using a little jacket or cardigan and wearing them for fall and winter down here. You look fab I like how you used layering to transform your dress into a skirt and it so works. I agree that layering is the key to wearing summer dresses in fall! I am really loving that olive green piece. It is casual and dressy all at the same time. Your heels rock! What a fun photo shoot! With closets getting smaller and smaller and clothing getting more and more expensive, you are offering some great tips to make the most of what you already have. Thanks for sharing! I wear my summer dresses during the Fall but then again, the weather here’s unpredictable. Most of the time, it won’t feel like the Fall so you can wear dresses like this! I love how you styled your dress here, the jacket is perfect. Oh this is the perfect dress to wear all fall too!!! I too like to do this with my daughter’s wardrobe! Love how you put together the outfit! It looks perfect for the fall, and your pictured turned out so so good! Love this dress and definitely those shoes!! I love how there are a lot of summer clothes you can also wear for fall by adding an accessory or two. I do wear some of my summer pieces into fall. I’ll add a cardigan or some tights to make them work for the weather. Dressing for fall can be hard when the weather is cool in the morning but warm in the day and then cold again at night. Layers are a girl’s best fall friend. Those shoes are stunning! I love the way you belted the cardigan as well. Fall is such a fun time for fashion! This is why I love living in California, summer dresses in the fall are not weird at all because we live in layers!! I love that dress on you!! This outfit is paired so well. I love the look of the matching shoes and belt with the sweater. I never would have looked at this and thought, “oh that’s from summer!” Green and red aren’t typically colors I’d wear together but they are so pretty when done right! Transitioning your summer dresses into fall is such a great idea. These are some great looks! I love your outfit! I always save my summer dresses for fall as well, because they’re so easy to transition into a fall outfit!